The concept of gene regulation has been investigated by biologists for several decades and has led to the concept of gene regulatory circuits and biological switches. 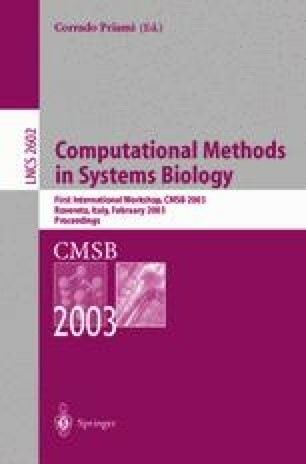 There have been several theoretical approaches to model biological switches. In this paper we present a control systems approach to synthetic genetic switches. In particular, we first analyze the dynamic model of the synthetic λ- switch to identify parameters which affect the switching performance. Based on the dynamic model, we formulate a performance measure from those parameters and then apply an optimization technique. More specifically, we employ sequential quadratic programming for this purpose and then optimize the performance of the synthetic λ- switch in view of the performance measure. The system-theoretic approach suggested here should be applicable to studies of other regulated cellular systems.